PALM BEACH COUNTY, Fla. — Medical marijuana cardholders who are looking forward to buying smokable flower buds at cannabis dispensaries could also pay a lot less for medical marijuana soon. Gov. Ron DeSantis signed a bill Monday to repeal Florida's ban on smokable medical marijuana. But no one knows when the sale of flower buds will be allowed at medical marijuana dispensaries. "As soon as the rules get promulgated by the Department of Health and the Office of Medical Marijuana Use, and as soon as they give us approval to start selling flowers, we'll be ready to sell," said Vijay Choksi with GrowHealthy Medical Cannabis Dispensary. Choksi said they've been waiting for the smoke to clear on this, and so have many of their customers. 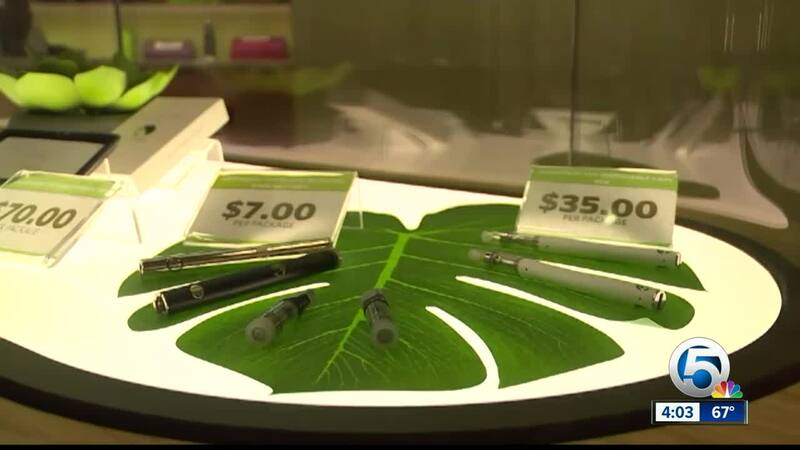 "Patients are questioning how they are allowed to purchase smokable flower," said Choksi. Medical marijuana cardholders will still have to get approval from a doctor certified to issue medical marijuana prescriptions to smoke flower buds, but once they do, they're looking at a 20 to 25 percent price drop to medicate. "Right now, we take a flower and it requires a processing into that end-substance," said Choksi. "With flower sales, we can forego the heavy processing required." There are countless types of strains available for various methods of ingestion, but allowing the sale of smokable flower buds could increase the current medical marijuana cardholder population in the state. "It's very exciting because a lot of medical patients have been left in the black market up until now because they either they don't want to change their ingestive method of how they have been medicating for years, or price," said Choksi. Right now, dispensaries said they don't know any of the rules for packaging or testing of the flower cannabis, and have to wait for direction from the Department of Health and the Office of Medical Marijuana Use.